Rolex and other fine timepieces older than 25-30 years old are considered “vintage” because of their age and how their design and technology matches the time period they were produced. For many, collecting vintage timepieces is an obsession that some compare with collecting art. There is not particular utility in collecting art, other than covering walls, but there is an aspect of art collecting that moves people emotionally that only art collectors really understand. Collecting vintage timepieces is very similar. Watch collectors find and preserve high end Rolex and fine Swiss timepieces for reasons only the collector knows, ranging from timepieces manufactured in their collectors birth year, to the emotional quality that a particular watch face brings to the owner. Two particular articles were posted recently that illustrate how collectors feel about collecting wristwatches. 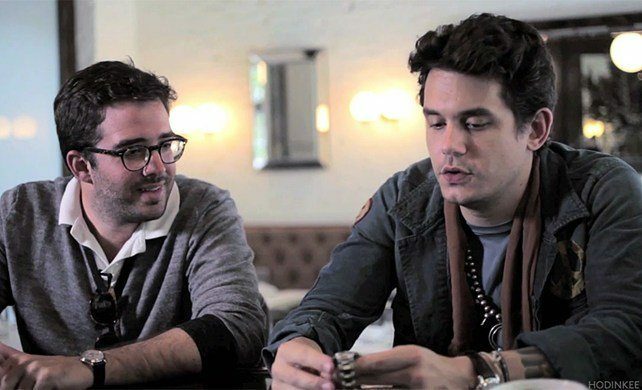 Hodinkee’s Ben Clymer, founder and writer on Hodinkee watch blog interviews John Mayer, on watch collecting. Hodinkee started out as a simple watch blog, but grew quickly over these last few years with having multiple contributors, mentions in GQ and other fashion magazines, and Ben (along with Ariel Adams of A Blog to Watch) have become the general media’s go-to people for watch information. Hodinkee being primarily located in New York helps them stay in touch with the high-end auction community where many of these highly valued vintage timepieces sold. John Mayer is a singer and song writer and an avid watch collector. The video interview describes how John fell into vintage watch collecting and how the passion fell over him. For people like John Mayer, there are people like Jacek Kozubek and Scott Kaplan of H.Q. Milton in San Francisco who scour the world for vintage Rolex watches. In an article by the San Francisco Chronicle, Kozubek and Kaplan describe how they search the globe for rare Rolex watches. In one particular story, Kozubek is carrying a Louis Vuitton handbag stuffed with $27,000 in cash cradled like a baby in his arms. His destination was a Baltimore antique estate dealer who had a 1950’s Rolex Submariner co-branded with Serpico Y Laino. Co-branded watches, like Rolex watches co-branded with Tiffany’s on the dial, are very rare timepieces. A 1950’s Submariner already is a high value watch, but the co-branding takes that same timepiece to an entirely new price point. Kozubek purchased the watch for 27K then returned back to San Francisco only to sell it for $68,000. Kozubek points out that if a collector wants a particular wristwatch from a particular year, one cannot go down to the store and just purchase it. Searching for fine vintage timepieces is like a hunt and takes time to source one, if at all, and the reason why fine vintage timepieces are so valuable.